Fixed: Error ‘The video playback was aborted due to a corruption problem’ | lets discuss: storage media & recovery! Are you facing problem in watching videos on webpages and getting the error ‘The media playback was aborted due to a corruption.’ And now you are on a look out to fix this video playback error? Not being able to watch your favorite or important videos available online can be very frustrating. There can be many reasons to the issue from simple to complex. Sometimes it can just be the browser or poor internet connection or sometimes the website plugins are not supported by your browser or the cache data in the system might prevent the smooth playing of the webpage video. 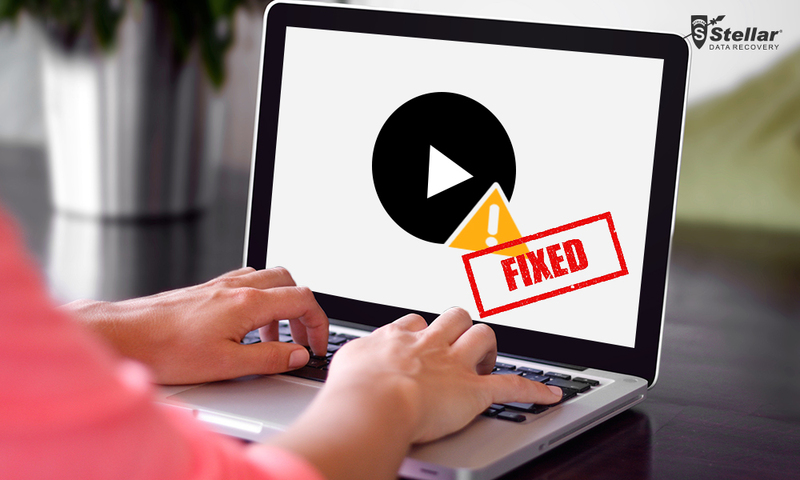 Whatever the reason, you can fix the webpage video playback error unless the uploaded video file itself is corrupt. Tried all the above but could not succeed in watching the video on the webpage? When you open your browser in Safe Mode, hardware acceleration is put off, all extensions are temporarily disabled, and the default theme is applied. If your video not playing error is due to any of these, you can watch the video in Safe Mode. A specified browser theme uses special extensions that change the appearance of the browser. If you are using a certain browser theme other than the default one, there is a possibility the new theme extensions are creating hindrance in playing the videos online. So try switching to the default browser theme. Try resetting your browser to fix the video not playing error on webpage. Resetting your browser to default may remove pop-ups, toolbars, not required extensions, and other browser issues. There are chances the attempt would fix the browser video error too. You uploaded a video online but it is not playing? If you have also uploaded a video online, say on Facebook, YouTube, or Reddit etc., but it does not play properly, showing certain playback errors. Try to play the saved video in your computer again. There are chances that your uploaded video is corrupt or damaged. In such a situation use Stellar Video Repair software to repair any type of video corruption such as no sound, choppy, flickering, broken, black screen, etc. The do-it-yourself tool can safely repair all MOV, MP4, M4V, 3G2, 3GP and F4V videos. Once repaired upload the video again on the website. Open Firefox Options window (Preferences on Mac) by clicking on menu. If you cannot find Firefox button, visit Tools > Options. In Options window, click on Advanced, select General. Restart Firefox and see if the video playback error solved. To rule out the problem is not due to an extension, theme or hardware acceleration start Firefox in Safe Mode. Just go to Firefox Menu, click Help, and select Restart with Add-ons disabled. Firefox will start in safe mode once you click on Start in safe Mode in the Safe Mode dialog box. Now, play the video on the website and check if the error is resolved. Updating your graphics driver may resolve the web video content error. In Windows 10, graphic drivers are automatically downloaded and installed through Windows Update while you can also manually search and update your system graphics driver. If you are Mac user, you can update only by upgrading to latest operating system as the graphics driver is part of the Mac OS. On the extreme right, click Menu. Go to Settings. Click Show advanced settingsand scroll down and select System. Resetting your Chrome browser might resolve the error ‘video playback was aborted due to a corruption problem.’ Here no need to worry as you can always restore back to your original Chrome settings. You can also change the Chrome settings in new user profile. The settings for the Chrome profile you are logged in will be reset. To reset Chrome settings, go to Chrome Settings, click Advanced, and click Reset. Now try viewing your video again in the browser, if the video playing error resolved. The problem of ‘video playback was aborted due to a corruption problem error,’ usually happens with some and not all the websites. Most of the time it is resolved through simple hacks like refreshing the web browser, playing in another browser, deleting the cookies and cache data. But when these ways fail, take resort to other little tricky troubleshooting ways mentioned here. So next time when you face such issue, be calm as you have the solutions!